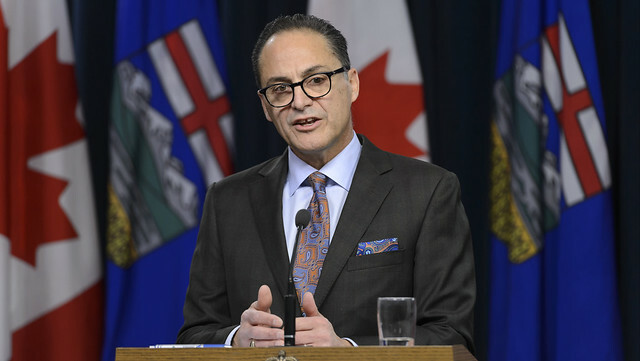 With Alberta’s economic recovery surpassing expectations, government is asking Albertans for their priorities to further control costs and get to a balanced budget. Minister Ceci releases details of the 2017-18 second quarter fiscal update and economic outlook. The Alberta government now forecasts the economy will grow by 4.0 per cent in 2017, up from the 2.6 per cent forecast at budget and 3.1 per cent at first quarter. According to independent forecasters, Alberta is on pace to lead all provinces in economic growth in 2017, with recovery in nearly every sector. Among economic highlights, Alberta has added more than 70,000 full-time jobs since mid-2016, mostly in the private sector. The number of drilling rigs has doubled 2016 levels for much of the year and retail sales have recovered to pre-recession levels. Government has achieved $300 million towards its goal of $400 million of savings in 2017-18 from administrative efficiencies such as managing vacancies and discretionary costs, program demand adjustments and one-time savings around capital grants. The province is also extending a salary freeze, which began in early 2016, for management and non-union employees for an additional 18 months to Sept. 30, 2019. Along with ongoing hiring restraint and reductions in discretionary spending, this is saving approximately $100 million annually. The Alberta Public Service will also be frozen in size by strengthening the hiring restraint. For the next two months, government will consult Albertans on Budget 2018 and the path to a balanced budget. Albertans will be asked for their priorities for controlling costs and to identify services and programs that should be protected by completing a survey online at budget.alberta.ca or by participating in two telephone town halls in late January. As a result of cost controls and using half of the risk adjustment, government is reducing this year’s deficit and addressing cost pressures. The 2017-18 deficit is forecast to be $10.3 billion, $183 million less than forecast at Budget 2017 . Total expense is forecast at $54.7 billion, $180 million lower than budget. The government is maintaining the forecast West Texas Intermediate (WTI) price at US$49/bbl, the same as at first quarter. Fiscal year-to-date prices (Nov. 24) have averaged US$49.42. Government is maintaining the risk adjustment at $250 million as a prudent measure against any oil price volatility.